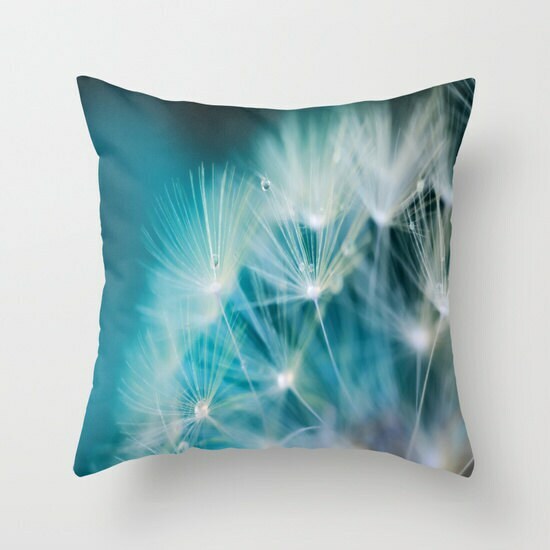 Beautiful and unique home décor throw pillow featuring my fine art photograph "Raindrops On Dandelion Sea Blue". Throw Pillow Cover made from 100% spun polyester poplin fabric and optional pillow insert, a stylish statement that will liven up any room. Features a double-sided print and is finished with a concealed zipper for ease of care. Please choose from the drop down menu for different sizes, with or without pillow insert. Do you see an image in my shop that is not listed as a pillow cover? Just send me a message, and I will make you a custom listing.